So, what development update is it? I think it's the 4th. It has been quite a tough week for me again, so there is not really much stuff going on with mapping. As always, a _RISE update. I'm about 25% through Intersection II, the Intersection itself and 80% of the yellow wool is done. The work on minimap last week really helped with it - I was getting a bit burned out, and now I'm once again ready to get a lot done. Also, with the 1.7 officially released, I'm gonna move to that once all of the stuff I use updates, so I'll finally have all the new stuff to work with. Other than that, I don't think there is much more for me to talk about on that topic. On the minimap topic, there is actually pretty much nothing for me to say, as I have worked very little on that this week. So I guess I'll give you a little update on what's left for me to do. The outer side of the area is 60% complete, I still need to make one more miniarea in it and make it look a bit more pleasant to eyes. 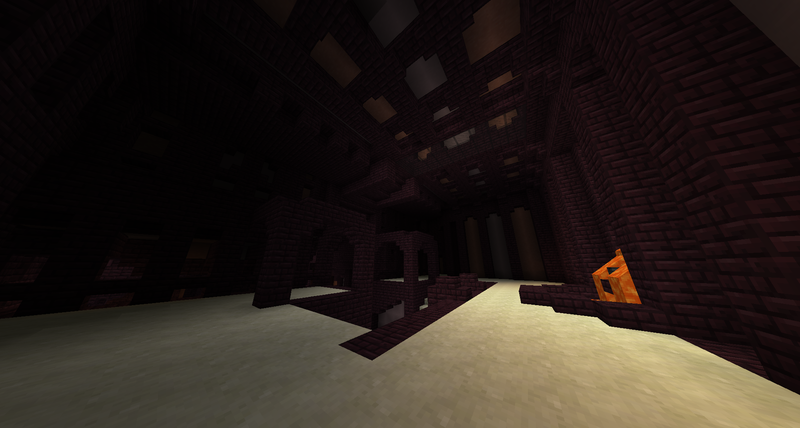 The inner part is about 25% done, a lot of dungeon still left to do. Any dev updates this weekend? I've actually wrote this like half an hour ago, but after afking I completely forgot to send it. oooooh! that broken chain looks awesome! Yeah, I've just been a bit more busy today, so it's going up later than usual. Last week was hard because of school stuff, this week I stupidly got sick and wasn't able to do stuff on computer for 2 days. So, _RISE it is. As I was sick, there is not very much to talk about, (let's get this clear, it seems that I'm gonna say this each dev. update). But still - I think I'm done with the yellow wool area, and gonna soon start the pink and lime ones, (probably tomorrow). Also, I really felt like Light Blue Wool wasn't turning out the way I liked it to, so I scrapped it completely and now in the process of redoing it. I would say it's about 60% complete, I still have to make a dungeon part of the area (don't thing about a literal dungeon meaning), and throw some loot in, and then the first Intersection will finally be done. Right now I think _RISE is about 30% done, so the process is going slowly but surely. Minimap is now going into "freezed" state. It doesn't mean that I'm not gonna work on it anymore, I just wanna throw everything at SP #02 and get the progress really going on it. Once I'll resume the work on the minimap, I'll definitely let you all know. Cool! I'm interested, so I'll watch it. Here is the LP with my friend snoopy1500. Very good so far! Finally scavenged the dreaded black wool today! 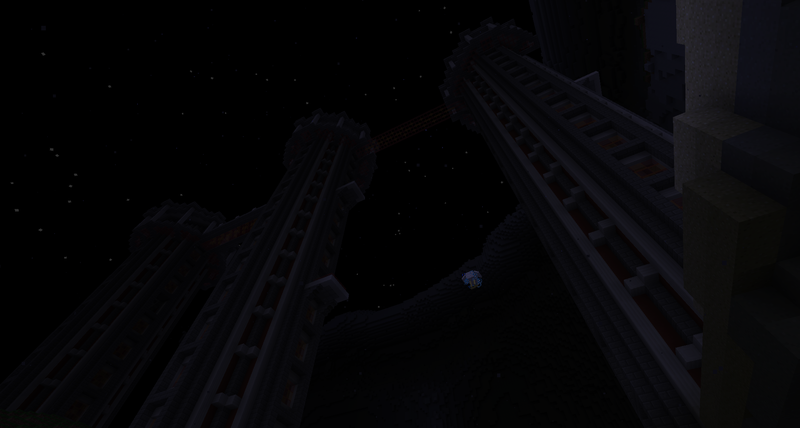 "Stimulation Protocol #1 - Animosity" was a really great map, well done! I felt things were relatively balanced throughout the entirety of the map. Resources were evenly distributed, and diamonds weren't "o.p." (props for that). Overall, I'd definitely play this map again sometime in the distant future (very distant..) and I'd say it's a definite recommendation from me to anyone looking for a wonderful CTM map! That was a really derpy start if I ever saw one. I wonder how it's gonna turn out. Pretty happy to see that you enjoyed it. I have to say only one thing. I agree, but in my defense I suggested we farm and snoopy said "I guess, but I kinda wanted to check out this thing first". Great Idea that was XD . Oh well though, now we know what we are facing. You don't learn anything by succeeding! My sickness is strong, but I finally was able to work again and got a lot of stuff done. Finally, Light Blue Wool and, thus, Intersection I are done. It's really motivating to see that I'm doing some progress, and now I feel like working a lot. I already finished Intersection II itself and Yellow Wool Area. It isn't very big, but packed with stuff, and that's the type of areas I like the most, (but don't worry, titanic areas with size on level of Animosity are still gonna be in this map). 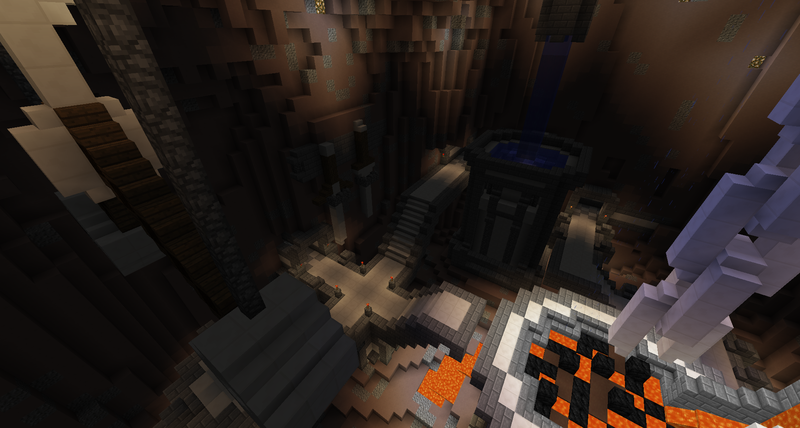 Next, I'm almost done with the monument area, pretty happy with the result so far. Within next two-three days I hope I'll be able to start and finish either Lime or Pink Wool Area and by the end of the week both. After that I will be done with Intersection II, and that's basically half of the map, so then my work might go faster. 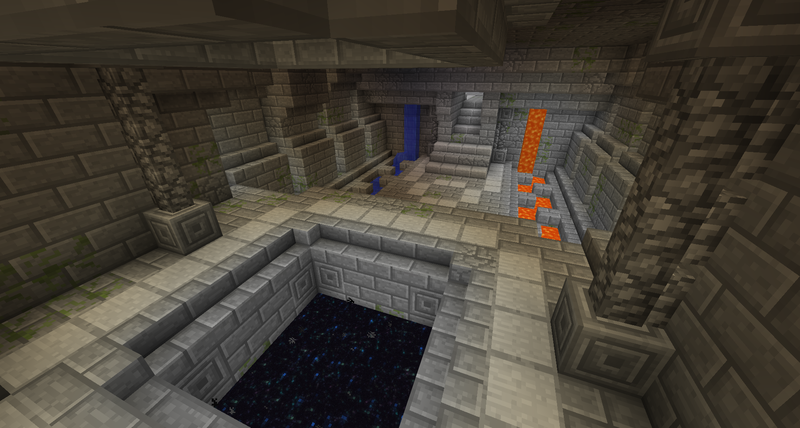 Portal definitely means an area in the end, but will it be a wool area? I'm not gonna reveal that just yet, but if there will be a wool in the end, it's going to be one of the last ones. Is it just me, or do you happen to like symmetry a lot? I do like symmetry, but mainly use it in buildings\structures, it gives them a man-made feel. Let me start with SP02, as always. Last week I was rethinking some of the names for areas and the map itself. Right now SP02 is known by it's technical name - "_RISE". Although I wanted to use it at the start, I'm doubting it now. I want to continue the trend of one-word names, so at the moment I'm thinking about "Ascent" as a candidate. I will not update OP until I'm sure the name is staying. Next, about the progress. If I'll ever again say that I'll make one area in 3 days - don't trust me. I thought that one week for Lime and Pink areas would be enough. Nope, it wasn't. I haven't even finished building Lime area at the moment, not to say that there is no spawners/loot/balancing done, and Pink one is finished only on paper and in my head. The main problem with slow-ish progress for me is staggering amount of work that I can't do using MCEdit or any other 3rd party tool. Therefore, a lot of slow hand work. But I feel that is's getting close to completion, so probably one or two more days on it will be enough. 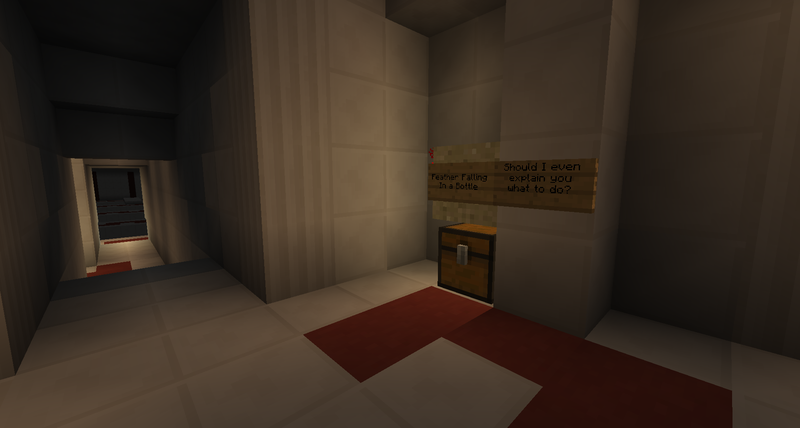 It is still a bit plain, but spawners and chests will fix that.